Scott Carney, Jason Miklian, and Kristian Hoelscher report on Fortress India: Why is Delhi building a new Berlin Wall to keep out its Bangladeshi neighbors? “Felani wore her gold bridal jewelry as she crouched out of sight inside the squalid concrete building. The 15-year-old’s father, Nurul Islam, peeked cautiously out the window and scanned the steel and barbed-wire fence that demarcates the border between India and Bangladesh. 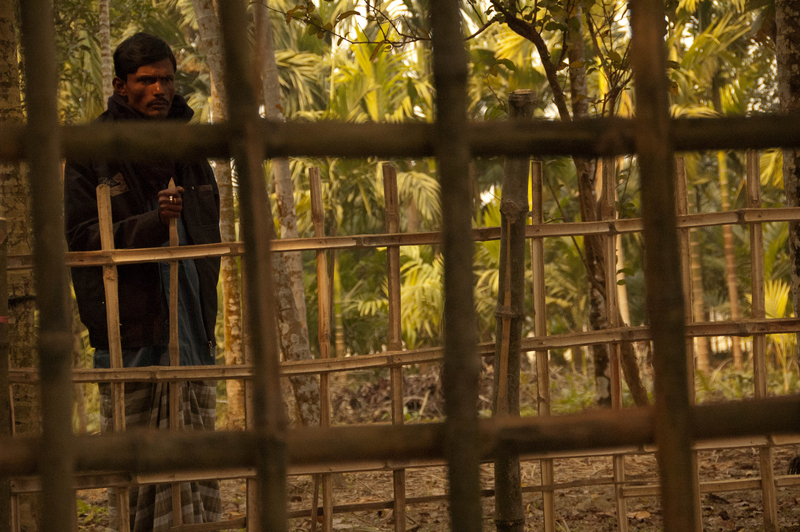 The fence was the last obstacle to Felani’s wedding, arranged for a week later in her family’s ancestral village just across the border in Bangladesh.” Read the full report in Foreign Policy. Photo courtesy of Kristian Hoelscher. 2011 Scott Carney, Jason Miklian, and Kristian Hoelscher – “Felani wore her gold bridal jewelry as she crouched out of sight inside the squalid concrete building. The 15-year-old’s father, Nurul Islam, peeked cautiously out the window and scanned the steel and barbed-wire fence that demarcates the border between India and Bangladesh. The fence was the last obstacle to Felani’s wedding, arranged for a week later in her family’s ancestral village just across the border in Bangladesh.” Read the full report: Fortress India: Why is Delhi building a new Berlin Wall to keep out its Bangladeshi neighbors? in Foreign Policy. Photo courtesy of Kristian Hoelscher. If this sounds vaguely familiar, it’s because such sting operations are a fixture in the headlines. Remember the Washington Metro bombing plot? The New York subway plot? The guys who planned to blow up the Sears Tower? The teenager seeking to bomb a Portland Christmas tree lighting? Each of those plots, and dozens more across the nation, was led by an FBI asset. Click here for the main article, a searchable database of terrorism prosecutions, a sidebar on the making of an FBI superinformant, a glossary of terms, and a transcript of a conversation secretly recorded by an informant. Click here for the National Public Radio report on Aaronson’s findings. 2011 Trevor Aaronson – For Mother Jones, Aaronson writes: “The FBI has built a massive network of spies to prevent another domestic attack. But are they busting terrorist plots-or leading them?” From his article, The Informants: “Here’s how it works: Informants report to their handlers on people who have, say, made statements sympathizing with terrorists. Those names are then cross-referenced with existing intelligence data, such as immigration and criminal records. FBI agents may then assign an undercover operative to approach the target by posing as a radical. Sometimes the operative will propose a plot, provide explosives, even lead the target in a fake oath to Al Qaeda. Once enough incriminating information has been gathered, there’s an arrest—and a press conference announcing another foiled plot. If this sounds vaguely familiar, it’s because such sting operations are a fixture in the headlines. 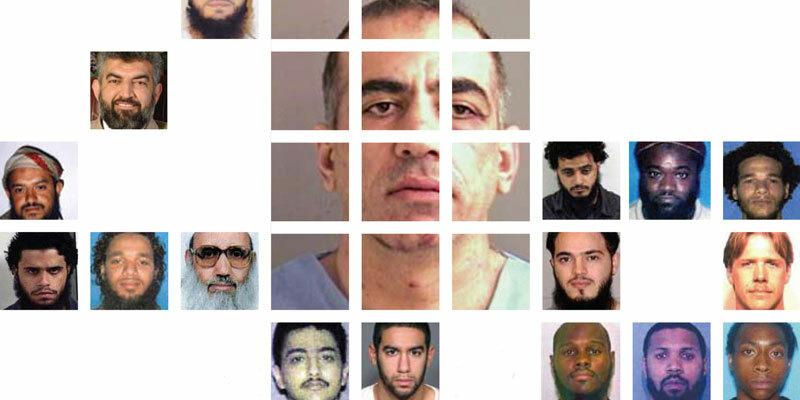 Remember the Washington Metro bombing plot? The New York subway plot? The guys who planned to blow up the Sears Tower? The teenager seeking to bomb a Portland Christmas tree lighting? Each of those plots, and dozens more across the nation, was led by an FBI asset. Click here for the main article, a searchable database of terrorism prosecutions, a sidebar on the making of an FBI superinformant, a glossary of terms, and a transcript of a conversation secretly recorded by an informant. Click here for the National Public Radio report on Aaronson’s findings. Mary Lou Simms investigated the U. S. Department of Agriculture program that exterminates wild birds and animals for the McClatchy-Tribune News Service. 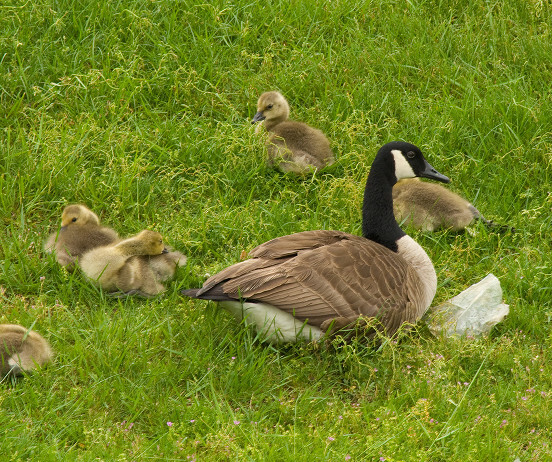 “Wildlife Services is the little-known branch of the USDA deemed largely responsible for geese slaughters coast to coast. Buried under several layers of bureaucracy, Wildlife Services prefers to stay under the radar. However, a copy of a 2010 report obtained through a Freedom of Information Act request indicates that U.S. taxpayers are subsidizing a $126.5 million program that exterminates more than 4 million wild animals annually, including thousands of geese. The agency also has come under fire for its use of sodium cyanide, a poison placed in devices called M-44’s, which its literature says is used to control coyotes, wild dogs and foxes preying on livestock.” Click here for the full report and here for her report on humane alternatives. 2011 Mary Lou Simms – For McClatchy-Tribune News Service, Simms reports on the U. S. Department of Agriculture program that exterminates wild birds and animals: “Wildlife Services is the little-known branch of the USDA deemed largely responsible for geese slaughters coast to coast. Buried under several layers of bureaucracy, Wildlife Services prefers to stay under the radar. However, a copy of a 2010 report obtained through a Freedom of Information Act request indicates that U.S. taxpayers are subsidizing a $126.5 million program that exterminates more than 4 million wild animals annually, including thousands of geese. The agency also has come under fire for its use of sodium cyanide, a poison placed in devices called M-44’s, which its literature says is used to control coyotes, wild dogs and foxes preying on livestock.” Click here for the full report and here for her report on humane alternatives. Bogota, COLOMBIA — As Isabel Morales and Julian Resendiz report for the Dallas Morning News: The death of her 20-year-old son at the hands of Colombia’s military was but the beginning of Gloria Mancera’s ordeal. In the four years that followed, Mancera, 44, fled her small farm in the town of Granada with her daughters in tow, changed her name, slept on the floor of a relative’s house in Bogota and scavenged meals from trash bins. This happened, she says, because she questioned the army’s account of her son’s death. 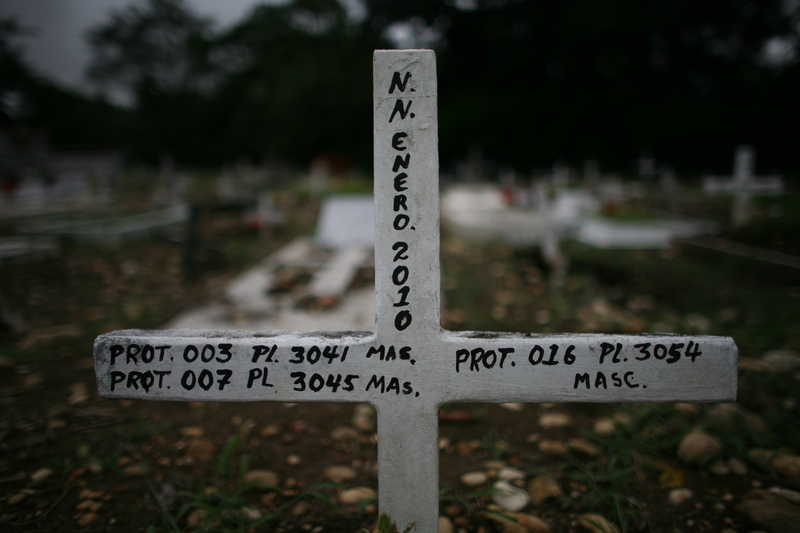 Aurelio Gallego Mancera was shot dead on March 12, 2007 by soldiers from the army’s Mobile Unit 12 based in Granada, about 90 miles from the capital. The military said the man was a FARC guerrilla killed in a firefight. Photos: William Fernando Martinez. 2011 Isabel Morales and Julian Resendiz with photojournalist William Fernando Martinez – Bogota, COLOMBIA — The death of her 20-year-old son at the hands of Colombia’s military was but the beginning of Gloria Mancera’s ordeal. In the four years that followed, Mancera, 44, fled her small farm in the town of Granada with her daughters in tow, changed her name, slept on the floor of a relative’s house in Bogota and scavenged meals from trash bins. This happened, she says, because she questioned the army’s account of her son’s death. Aurelio Gallego Mancera was shot dead on March 12, 2007 by soldiers from the army’s Mobile Unit 12 based in Granada, about 90 miles from the capital. The military said the man was a FARC guerrilla killed in a firefight.